Why waste time searching the internet when you can book your next tee time right here? You won't find a better online rate anywhere else, guaranteed! This classic 18 hole municipal course is known throughout Kansas City for it's playability. The layout is fun and easy to walk for players of all ages and skill levels. Established in 1966, many local golfers remember it as the "the first golf course they ever played". Located in the heart of south Kansas City it is easy to access and affordable to play any day of the week. At 5700 yards it is a reasonable length for all players to manage, yet the greens are small and challenging offering enough difficulty for seasoned players as well. The facility offers an excellent driving range along with practice greens for chipping and putting. The clubhouse provides standard amenities including a Snack Bar offering a full menu and Golf Shop with a professional staff available to help with all of your needs. PGA Instruction and Club Fitting are offered and group lessons may be scheduled by calling the Golf Shop 816.942.4033. There are few courses like Minor Park, with tree-lined fairways and a classic design, tradition and beauty are still preserved in a timeless way here. We invite you to come and experience a great recreational golf experience. To learn more about condition and care of the course our staff Matt Delventhal and David Carlson maintain an active blog. 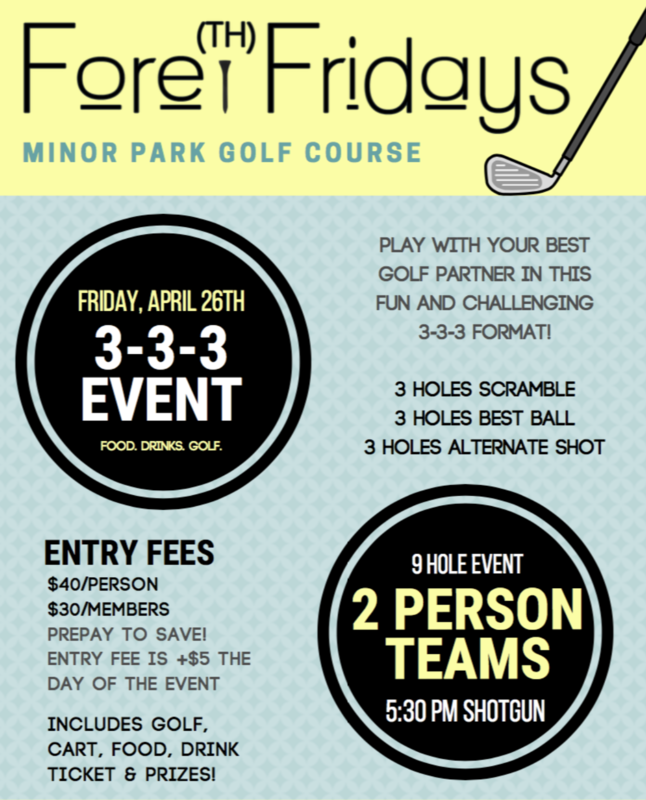 Click here to learn more about Minor Park Golf Course. There are no items available for purchase. FREE delicious lunch special or boxed lunch to-go! Let's kick off the 2019 tournament season! 5:30 PM Shotgun. 2 Person Scramble/ Alternate Shot/ Shamble. Includes 9 holes, golf car, dinner, prizes, & two drink tickets. $40 per Player; $30 per Member. 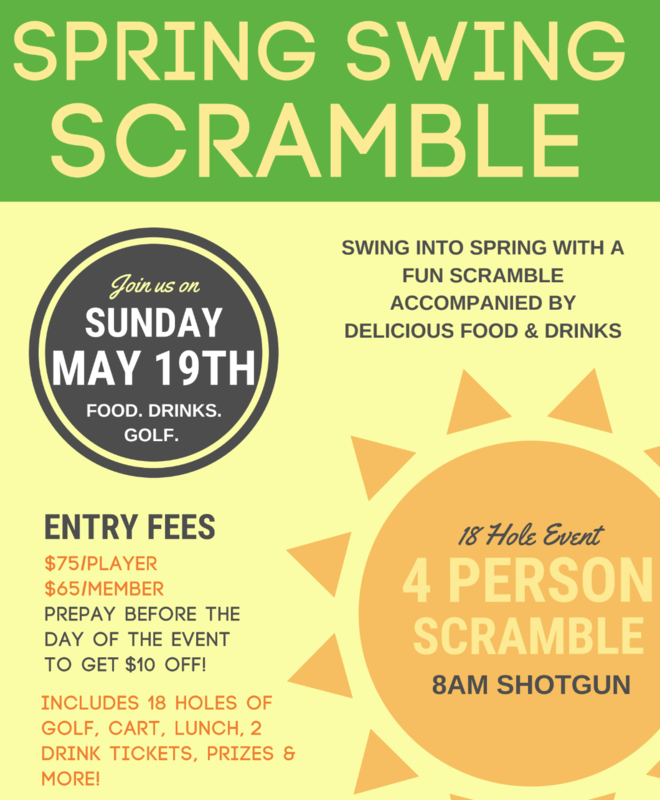 Enjoy the warm weather with this 4 Person Scramble! 8 AM Shotgun. Includes 18 holes, golf car, prizes, & two drink tickets. $65 per Player; $55 per Member. 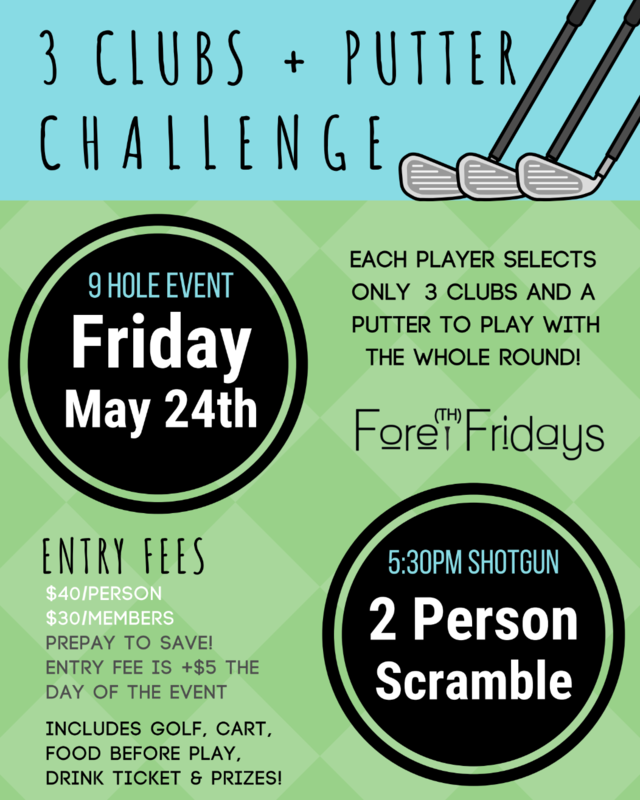 Only choose 3 clubs + a putter to play with in this 2 Person Scramble! 5:30 PM Shotgun. Includes 9 holes, golf car, dinner, prizes, & two drink tickets. $40 per Player; $30 per Member.